Officer Edward (Rocky) Graziano was the first motorcycle officer killed in the line of duty in New Hampshire. He was a member of the Nashua Police Department for three years at the time of his death. He had also served as a member of the Middlesex County Police Department in Massachusetts and as the interim chief of the Durham Police Department. 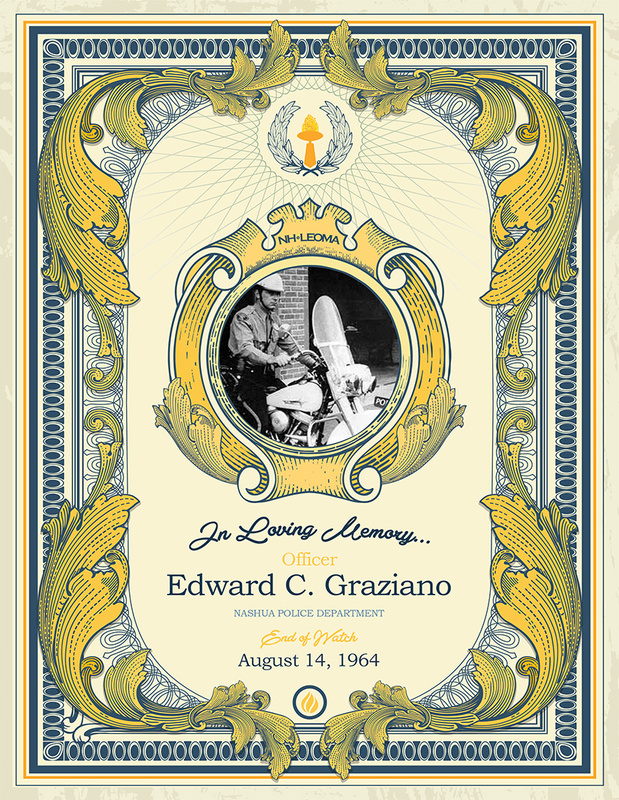 During the early morning hours on August 14, 1964, while on patrol of the D.W. Highway, Officer Graziano’s motorcycle was struck by a vehicle from the next lane. The vehicle then came into his lane pinning him beneath it. He was taken to a local hospital where he died from his injuries. He was 26 years old. He left behind his wife, Sylvia, and three children; Mark (5), Brian (4), and Keri (6 months).